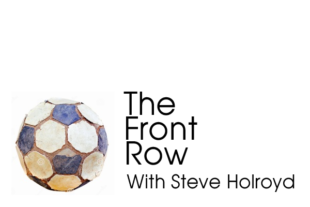 In the latest episode of The Front Row podcast, Steve Holroyd discusses the American “Soccer War” of 1928-29, and what it can mean for competing leagues today. To listen to the pod, click on the player above or visit the The Front Row Spreaker page. You can also listen or subscribe to the pod through The Front Row iTunes page. Follow Steve on Twitter at @Section107RowA. Interesting. Thanks Steve & Ed! This is a terrific summary of the Soccer War, especially because it recognizes that the issue over which the ASL and the USFA were fighting was not just the Open Cup, but which one of them was going to be the controlling body of American soccer. If the ASL had had its way, it would have been able to continue to poach players under contract to European teams without interference from FIFA. Wow, This is great ! Thank you, I think fans will appreciate what we have here in Philly and the current state of soccer in the U.S. more once they listen to your very informative podcast. I am happy you decided to do this, and I would like to encourage you to continue to share your knowledge of soccer in America.